The White House suggested on Thursday that Congress may need to pass a new law in order for states to impose work requirements on Medicaid beneficiaries. Mandatory work requirements could be key to motivating adults to work as there is evidence that many are choosing not to, according to a report issued by the Council of Economic Advisers, an agency within the Executive Office of the President. The council found that 60% of working-age Medicaid recipients who aren't disabled who worked fewer than 20 hours per week. 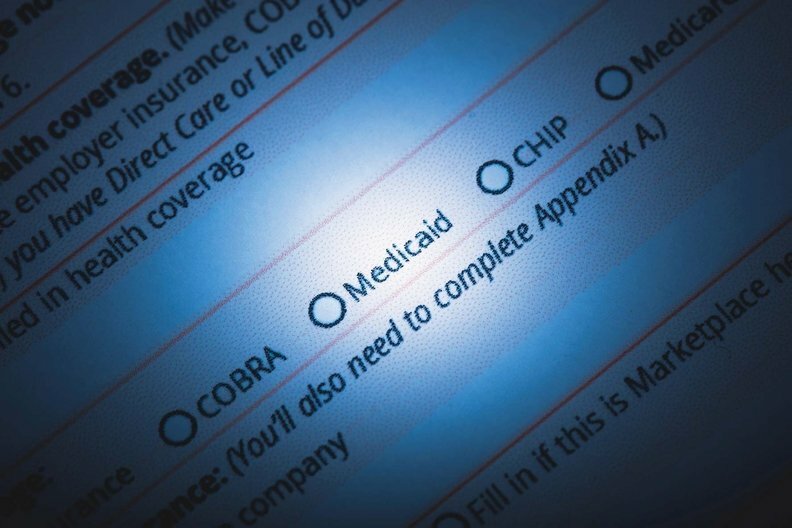 The report added there was a smaller unspecified amount of adult Medicaid enrollees who aren't disabled not working at all. The proposal comes just weeks after a federal judge struck down Kentucky's push to impose such standards on its Medicaid enrollees. The findings came the same day as the conservative think tank Foundation for Government released a report that estimates that as many as 6.8 million expansion enrollees nationwide are not working. Foundation for Government based its estimate on public information requests in which it asked expansion states how many of their beneficiaries reported no earned income. Medicaid enrollees may limit the hours they work since Medicaid eligibility ends once enrollees hit a certain point on the federal poverty level, according to the White House report. Medicaid eligibility for adults varies across the country, ranging from 18% to 138% of the federal poverty level. "This benefit cliff creates a strong disincentive to work for households with incomes near the threshold, as increasing one's earnings slightly can result in complete loss of health insurance," the report said. "Low employment rates of non-disabled working-age recipients suggest that legislative changes requiring them to work and supporting their transition into the labor market would affect a large share of adult beneficiaries." If Congress enacted a national Medicaid work requirement, at least 17.2 million adults who aren't disabled could be subject to it. The report noted that's a low-end estimate based on pre-Medicaid expansion data. Many more could be compelled to comply with such requirements. Eliot Fishman, senior director of health policy for Families USA, said that medical income eligibility in many states pre-ACA was very low and limited to parents in many cases, and it doesn't reflect the makeup of Medicaid expansion beneficiaries. "That's not causation, it is an artifact of how Medicaid excluded the working poor prior to 2014," he said. "This in no way reflects the work status of Medicaid expansion recipients." Legislation may be the surefire way for the Trump administration to impose work requirements. Last month, U.S. District Judge James Boasberg in Washington, D.C., an Obama administration appointee, held that the HHS secretary's approval of Kentucky's work requirement waiver failed to take into account the primary objective of the Medicaid statute, which he said is to furnish medical assistance. Absent an appeal or legislation, the CMS has been silent on if it will continue to approve pending work requirement requests or revise or revoke ones already approved. The agency has approved work requirement waivers for Arkansas, Indiana and New Hampshire in addition to Kentucky. At least nine more states that have applied for waivers or plan to apply. During a meeting with reporters Thursday, CMS Administrator Seema Verma declined to say what future action the agency may take as a result of the Kentucky ruling. She said she remained committed to helping states find ways to get Medicaid enrollees out of poverty. "We're looking at what we need to do to address the court's concerns, but it doesn't change our commitment to giving state's flexibility," Verma said.